Somehow I don't think either of the brands pictured on this T-shirt gave assent for their use. The Chron has reported on the inability of the Giants to control their merchandising in the era of Cafe Press. 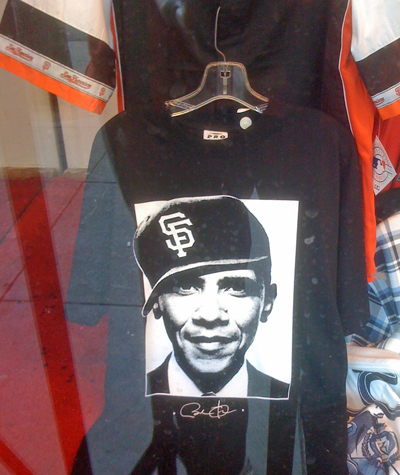 But in the Mission, these do depict local enthusiasms. Dozens of retired military chaplains say that serving both God and the U.S. armed forces will become impossible for chaplains whose faiths consider homosexuality a sin if the "don't ask, don't tell" policy is thrown out. If a chaplain preaches against homosexuality, he could conceivably be disciplined as a bigot under the military's nondiscrimination policy, the retired chaplains say. The Pentagon, however, says chaplains' religious beliefs and their need to express them will be respected. Who cares about the career aspirations of a few preachers? Actually though, this objection highlights the core issue. The gay exclusion policy is a statement that LGBT people are not full citizens, not really full human beings. Religious leaders claim in their various traditions to be able to affirm or deny the humanity of some, with God's force behind them. A diverse secular polity says "no" -- all humans are created equal under the law, whatever some peoples' understanding of God might tell them. If some people don't want to believe the full humanity of LGBT individuals is allowable in God's sight, that's their right. But they don't get to impose their cramped god on the diverse, fractious whole of society. None of us get to impose our values on the whole. I'm not thrilled with the idea of gays choosing to join the military either. 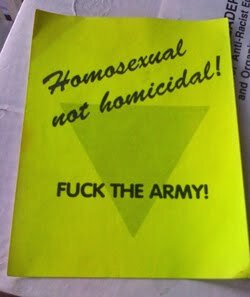 In 1993 when the DADT policy was being hatched, I handed out thousands of these stickers at a gay march on Washington. I think I understand the attraction of the military to some terrific people, gay and straight. For some, enlisting promises escape from lives with few prospects, possibly even from unhappy parental homes. There may be material benefits, but also, in our sleazy consumer culture, the military seems to offer a structured alternative, grounded in a morally satisfying posture of altruistic patriotism, "defending your country." That's fine until "service" turns out to mean becoming a killer for a decaying empire and living (if lucky) with the physical and spiritual consequences. I think that's a terrible fate, for anyone, gay or straight. But I don't get to impose my values on the society any more than should the dissenting preachers. LGBT people are full and equal citizens; if folks want to join the military without hiding their orientation, they should be able to. ***In theory, DADT repeal will come to vote in Congress in December, or so our political leaders say. I'll believe it when I see it and not before that Democrats, likely shell-shocked after bad losses in the midterm election, will push it through. H/t to Tobias Haller for pointing to the unhappy chaplains. This guy has some advice for the U.S.
Mikhail Gorbachev knows about wars in Afghanistan. When he ruled the Soviet Union, he ended up bringing the mighty Red Army home, tails between their legs, after years of being sniped at by "insurgent" Afghans who didn't want their country imposed on by a superpower. Not long after, his own country broke up. 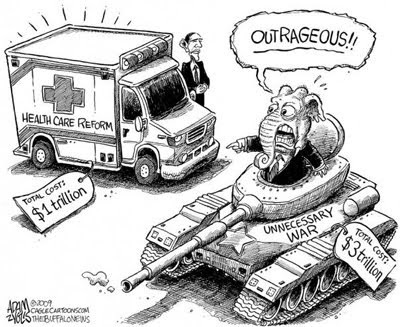 Failing imperial wars aren't good for national budgets or stability at home. Now he has a warning for the United States. In an interview with the BBC, he shared his perspective. He said before the Soviet Union withdrew from Afghanistan, an agreement had been reached with Iran, India, Pakistan and the US. "We had hoped America would abide by the agreement that we reached that Afghanistan should be a neutral, democratic country, that would have good relations with its neighbours and with both the US and the USSR. 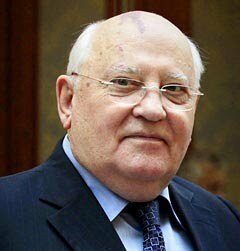 "The Americans always said they supported this, but at the same time they were training militants - the same ones who today are terrorising Afghanistan and more and more of Pakistan," Mr Gorbachev said. Because of this, it would be more difficult for the US to get out of the situation. Better listen up, President Obama. ... because you might be mad, but they are CRAZY. Lots more here. Here in San Francisco, baseball fans -- and their fair-weather relatives like me -- are having a high old time taking in the World Series. Sometimes literally, as this Texas reporter discovered. The Giants are an endearing assemblage of little known characters, fresh faces and has-beens, and they are looking very sharp after winning the first two games. The city's excitement reminds this San Franciscan of the football 49er's glory days in the 1980s. Times were hard for progressives: the odious Ronald Reagan was remaking the country in his lazy, plutocratic way, smashing up little countries around the world that had other ideas, crushing hope for poor and brown people. But we loved our conquering Super Bowl-winning heroes to ease some of the pain. We love our Giants now, as we approach an election when the country seems all too ready to turn once again toward reaction. But these guys aren't so much in the hero mold; they are more work-a-day journeymen, getting it done. Probably that's more attuned to the time than larger-than-life champions would be. It's in the style of our ever-so cautious, ever-so pragmatic President. Two years of his style have seemed to offer no more than a platter of stasis and further decay, but the story isn't over til the last pitch, so assessments remain premature. ***Why isn't the rest of the country watching the Giants-Rangers? Here's an explanation that says a lot about the country's discontents, not only as they relate to baseball. Truth is, the ratings for this Series will be bad. Much of the country will not watch, but it's not America's fault. It's the networks' fault for creating a self-fulfilling prophesy. They spend all summer ignoring the 25 teams that are not in New York, Boston and Los Angeles, so fans around the country never learn about them. Fans in the Northeast or Midwest or Southern California have have no investment in watching teams they never see. They don't know the players or the storylines. So why would they watch? Compounding that is the absolute East Coast point of view that flooded the earlier rounds of the playoffs. If you looked on ESPN.com or even listened to the Fox broadcast, the Giants were not up 3-1 after four games of the NLCS. The Phillies were down 3-1. The same was true in the Yankees-Rangers ALCS. If Fox gets hammered by low ratings in this Series, which will cost them big advertising bucks, it has nobody to blame but itself and its broadcast buddies at TBS and ESPN. In the spring of 2009 when various economic commentators and politicians were suggesting the economy was sending out "green shoots," I was skeptical. A panel of economic poobahs tells us that the recession "ended" then, but it sure didn't feel that way out in the real world. The same outfit is now suggesting that the job situation may even be getting worse. Yet I keep running into small bits of evidence that, just maybe, we might be turning a corner. 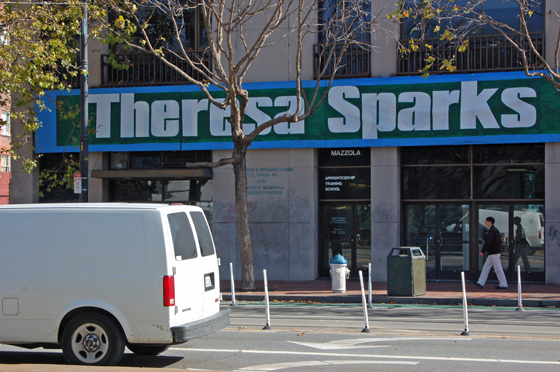 For example, the sign above that I noticed here in San Francisco. You didn't see that kind of thing a year ago. And this one has obviously been up for awhile, since it has had water dripped on some of the letters. Those aren't great jobs, but they are JOBS. Similarly, I've begun to hear stories about people who are losing their jobs because of company mergers or other structural disruptions -- but are finding new jobs at the same level or better than the previous ones. Things have been so bad for a couple of years that we may have forgotten, but that's how it used to work for people with strong skills and hence value to an employer. Yes, market capitalism constantly destroys weak parts of the system, but it also generates new, innovative parts of the economy. Or so they say. 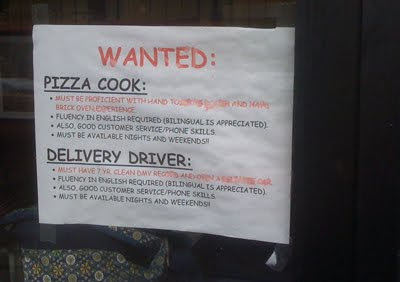 When people can find jobs as good or better than the previous one, that comes closer to ringing true. I may just have been hearing infrequent good anecdotes or seeing rare signs and nothing good may be happening in the economy at large. Economists I trust like Paul Krugman and Dean Baker say hopes of an emerging recovery are still delusional, that we are entering a season of prolonged stagnation and pain. But this is what I've been seeing. I emerged this morning to see this blocking our residential street. I suspect that its natural habitat is vast suburban parking expanses. It only knocked off a few tree limbs while extricating itself. Wherever the driver thought he was going with this monster, it didn't get there. Two years ago, according to David Plouffe's delightful rendition of the tale of the Obama campaign, the Democrats were ready for anything. We also made sure our campaign counsel, led by Bob Bauer, had the most thorough, experienced, and dogged election protection team in place in all the states. A crack staff of hundreds of lawyers, almost all volunteers, would make sure the voters we were counting on -- new registrants, younger voters, and minorities -- were able to participate without facing the same degree of problems and malfeasance that had cropped up in recent presidential elections. Let's hope Democrats are prepared again this year. Many Republicans consider any of the people Plouffe lists as intrinsically ineligible to take part in our governance. So they do everything they can to keep them from voting. Talking Points Memo is chronicling Republican voter suppression activities, ranging from completely scurrilous to the slightly more respectable. Meanwhile, on the ground in Ohio, Kay -- writing at Balloon Juice -- brings a luminous clarity to the conflict between visions of democracy. There are two kinds of people who care about the actual voting process. There are conservatives, who look for fraud, and there are liberals, who worry about access. Conservatives believe that one fraudulent vote is one too many. Liberals believe just as strongly that one disenfranchised voter is one too many. There’s no middle ground. It’s adversarial. ... Conservatives simply don’t believe that voting is a right. They consider voting a privilege to be granted, not a right to be protected. There’s no reconciling those two positions. 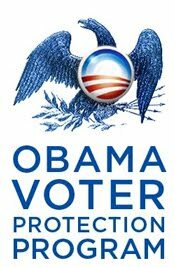 ...Voter protection is something liberals can put in place in every state and build on, because voter protection efforts are cumulative. Once the team is in place for one election, there’s then a pool of trained people who need only a refresher course and an assignment. Her second point suggests Plouffe's 2008 work is probably still paying dividends, ensuring that eligible people who don't fit the right wing stereotype of a voter will still be able to cast their ballots. Remember those floods in Pakistan last summer? Probably not. Pakistan is far away and the U.S. media wasn't much interested. For whatever reason, this natural disaster didn't get the full sensational media treatment given to the Asian tsunami or, perhaps more understandably because of its proximity, the Haitian earthquake. UNICEF's director of emergency operations, Louis-George Arsenault, in August called the rich countries' lack of response "quite extraordinary." Since we didn't rush to help in this emergency, other forces were all too ready to take advantage. According to Haider Ali Hussein Mullick of the Institute for Social Policy and Understanding, those floods were "a godsend for al Qaeda." To overstretch armies, smart insurgents always pray for the opening of multiple fronts. The damage from the floods couldn't be worse -- 1/5th of Pakistan (size of New England) inundated, seven million people lost their homes, and $30 billion in total damages. The timing was equally terrible: The Pakistani surge was finally working, and troops were holding Swat and South Waziristan since 2009. Today, the nuclear-armed Pakistani army is under great stress, and reluctant to go into North Waziristan, home to al Qaeda, the Haqqani network, and the Pakistani Taliban. The army is the police, National Guard, relief organization, reconstruction agency, and governing body in critical areas in the north and south, while the weak civilian government is perceived to be corrupt, inept, and aloof as it wrestles with the Supreme Court. 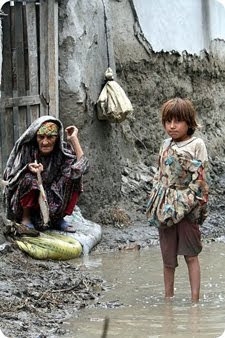 Half of 180 million Pakistanis are under the age of 25 and facing high prices, unemployment and little opportunity. They watch the rich pay virtually no taxes and they find solace in U.S. and India bashing, and blissful ignorance about their actual enemies, which are the al Qaeda syndicate, corruption and poverty. Al Qaeda couldn't ask for a better home. The United States has a budget-devouring, muscle-bound military that has been shooting up hostile countries for a decade while failing to succeed at pacifying them -- but can't or won't perform the elementary functions that could make friends. Assisting Pakistanis in their need was an opportunity for graceful amends for our imperial overstretch, but apparently the powers that be couldn't imagine such a thing. H/t Thomas Ricks for the reference. Photo by way of Sajid's fund appeal. Sharon Angle's latest racist ad may push her narrow race for the Senate from Nevada over the finish line -- but it's death for a Republican future in Nevada. It's a modern version of the ads that elected Pete Wilson Governor of California in 1994. "They [brown shadows] keep on coming ..."
Those ads touched off a Latino naturalization and registration effort that continues to this day and that has made California a solidly Democratic state. It looks as if Jerry Brown will be able to cruise over Meg Whitman's millions in this awful year for Democrats -- because California was changed by Pete Wilson's racist campaign. Nevada is not California, but the demographic trends are there for the same transformation. According to the Census, about 55 percent of Nevadans are white but not Latino -- in comparison to the national figure of 65 percent white. Latinos are over 25 percent of the Nevada population. Now the Nevada electorate doesn't look anything like that. Those Latinos are younger than whites; many are not yet citizens though they are on the way; many are hurting economically. So they aren't voting in proportion to their numbers yet. But the trend is clear. In 2008, for the first time in years, Democrats surpassed Republican registration numbers. Nevada is one of the states with the highest rate of growth of Latino voting. Latinos are going to be more and more influential in Nevada elections -- and Sharon Angle is making the Republican Party poisonous to Latinos. Blacks are about 9 percent of Nevadans; although there are tensions with Latinos, Blacks have long concluded that Republicans are poisonous to their communities. Democrat Harry Reid may not squeak through this year, but California shows unequivocally where this is going. Over time, against a demographic wave, the party of white racism hangs itself. It's not surprising that the building trades unions would have a candidate they are promoting for a local office by spreading a huge sign across the width of their headquarters. And it is not even surprising that this candidate is often described as the "conservative" in what is ostensibly a non-partisan election. But anywhere but San Francisco, it would probably be surprising that this candidate is a prominent transgendered woman. If I lived in the district, Ms. Sparks would not be my choice. But I love that her candidacy takes this route in our city. Government wasn't working very well for many people in the United States in the 1840s and 50s. In retrospect that's not surprising as the nation was on a the verge of the horrible civil war that ended with Black slaves freed and industrial capitalism in the saddle. New political movements appeared to voice the discontents of the pre-war period; a popular anti-immigrant, anti-Catholic group called itself the American Party, but was more frequently labelled the "Know Nothings" for its injunction to its adherents not to talk about it to outsiders. Joe Miller, Sharon Angle, and Christine O'Donnell would understand ... It's members were not ignorant, so much as privileged by education and class, and worried about what they saw as newly arriving, dangerously assertive foreign laboring hordes. Other political stirrings were also going on that eventually led to the formation of the Republican Party. People's political allegiances were not very fixed. In this context, Illinois politician Abraham Lincoln thought to write a letter to his friend Joshua F. Speed denying that he could be a Know-Nothing. How could I be? How can anyone who abhors the oppression of negroes be in favor of degrading classes of white people? Our progress in degeneracy appears to me to be pretty rapid. As a nation we begin by declaring that "all men are created equal." We now practically read it "all men are created equal, except negroes." When the Know-Nothings get control, it will read "all men are created equal, except negroes, and foreigners and catholics." When it comes to this I should prefer emigrating to some country where they make no pretence of loving liberty -- to Russia, for instance, where despotism can be taken pure, and without the base alloy of hypocracy. The spelling is Lincoln's. 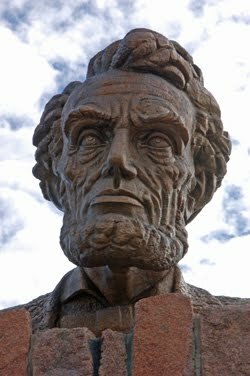 For Lincoln, "liberty" (an archaic word it seems these days) was indivisible. The nation went on the fight a war over that. Our proudest moments have been those when we extended liberty -- to newcomers, to women, to all races and all belief systems. Unfortunately, the party Lincoln later helped found seems to have given itself over to today's Know-Nothings -- a motley assortment of racial exclusionists, Muslim bashers, cultural warriors and economic hucksters. I owe the Lincoln quote to Peter Schrag's excellent history, Not Fit for Our Society: Immigration and Nativism in America. The Lincoln statue pictured looms over Interstate Hwy. 80 in Wyoming. My friend Ronni Bennett at Time Goes By is calling for what she calls the "The Great Elder Email Schlep." In 2008, comedian Sarah Silverman urged young voters to trek to Miami to encourage their grand parents to turn out for Barack Obama. This year, older people are more likely to tell pollsters they intend to vote than younger people. So it's time to turn the Great Schlep around. The people who will suffer worst if large numbers of Republicans win office and refuse to do anything to move the country toward prosperity are mostly not elders. These young people will see their schools cut classes so they can't get the courses they need; they won't be able to find jobs because few are being created; they'll find they have to move back in with their parents, hoping somehow the country turns around. You don't need to travel to Florida or anywhere else; email and the telephone will work just fine. 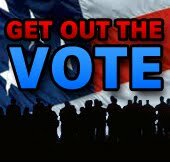 The idea is to convince your grandchildren, nieces and nephews in that 18 to 29 age range to get out and vote. Talk to them about the responsibility of citizens in a democracy to vote. Track down online information about contests in their states and send links. Find the polling places for their homes and send the addresses. ...Make a nuisance of yourself for the next week until the election with those young, potential voters. If you have Twitter and Facebook accounts, use them too. Pull out all the stops. Let them know how disappointed grandma or grandpa will be in them if they don't vote. I attended part of a UC Berkeley conference on the Tea Party on Friday. I was not excited by the event, but my interest in the topic is not academic, so that was probably inevitable. The Tea Party looks to me like simply the latest iteration of a recurrent reality; the country has had these outbreaks since the Know-Nothings of the 1840s. About a quarter of the people here live in a bubble that comes with being part of the richest and one of the freest countries in the world. They look around and think they deserve all they've got and probably should have more of it. They get riled up when reality -- racial and social change, corporate greed, international insecurity -- threatens to intrude upon their bubble. When anything looking like wellbeing spread more widely than their immediate clique comes along, the permanent Right wing infrastructure is on hand to channel these people's formless distress into outrage and votes for Republicans. Sure, sometimes the nutty unrest gets out a little ahead of the folks who pay for it (see also Christine O'Donnell), but I'll put money on the Tea Party "movement" fading if it serves its purpose of re-establishing a Republican ascendancy. These folks' permanent enjoyment of grievance doesn't go away, but its political expression comes and goes. My question about this swamp of resentment is not what is it? -- but how do we cure it or at least decrease its influence? That's not the sort of thing academics do, so the Berkeley conference wasn't my kind of scene. 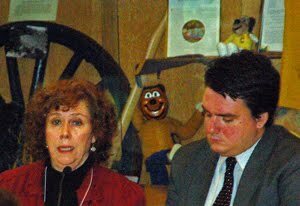 I did collect one observation that rang true however by way of Debra Saunders, a rather slimy Republican operative* (pictured here on a panel with reporter Dave Weigel.) Saunders, who plays "good conservative" for the San Francisco Chronicle, began her talk by saying "California is not a Tea Party state." She's correct; California doesn't need a Tea Party because those forces warped its government structures decades ago.. The Tea Party won in California in the late 1970s and early 1980s, breaking state government so that it cannot carry out its functions. A 30 percent minority -- the California Republican Party -- can veto any government action through the two-thirds requirement in the legislature to pass a budget or tax increase. California is what you get when one third of the population holds the needs and desires of the rest of the people hostage, because they refuse to pay taxes or share power with people who are different from themselves. It took a long time for the full horror of this situation to manifest itself. After Prop. 13 and its attendant government-restricting gimmicks passed, inertia from smart governance in the past (see for example the University of California and state college system) chugged along for decades. Sure the roads crumbled and the poor people got the shaft (always the easiest people to defund). Sure, we proliferated dopey initiatives that created funding schemes for peoples' pet projects rather investing for wide prosperity. But California looked like it had a functioning government. The recall of the governor in 2003 showed how fragile that appearance was (elect a guy one year and replace him with a cartoon hero the next?) -- but then the present Great Recession pushed the state over the edge as revenues crashed and our local Know-Nothings refuse to vote any remedies. California today is what Tea Party governance looks like. The rest of the nation has its warning. You don't seek to understand or accommodate this kind of selfish behavior in a kindergarten classroom (an earlier generation of these people would have thought kindergarten was a Communist plot) and you can't in civic life either. The project is not to study but to stigmatize such selfishness -- as Rick Perlstein, author of Nixonland actually said on Friday: "Yeah to stigma! "****Why do I say unkind things about Debra Saunders? Because I've seen her run the same schtick in columns and on panels for years and watched credulous liberals eat it up. She comes on as articulate, reasonable, thoughtful -- and then uses the legitimacy she accumulates to repeat conventional right wing talking points. On Friday, she was flacking for the Tea Party candidate in CD-11 east of San Francisco -- and closed with the same message of the day, that Republican Senate leader Mitch McConnell was using in West Virginia: "America Is Not Interested In Becoming France." Hmmm --- it's not hard to surmise where Saunders is getting her script. Thanks, Gilbert and Sullivan. Who'd have thought those Victorian musical hall geniuses would still inspire? War Times/Tiempo de Guerras has launched our new website. In the summer of 2010, about a dozen new writers joined War Times, and we’re using our new site to bring you their voices. We think that the new site represents the distinctive War Times point of view: a focus on the effects of these war times on the lives of ordinary people in the U.S. and around the world. We’ll also be publishing some of our features, like the “Month in Review,” in Spanish. War Times will continue to provide information and analysis about events in the Middle East and other parts of the world confronting U.S. militarism. At the same time, we’ll be sharpening our focus on building grassroots movements here at home. We will be featuring on-the-ground reports, reflections on and assessment of different campaigns and organizing efforts. Take a look at Christine Ahn’s piece about how peace and racial and economic justice organizations came together to plan a national campaign to move the money from war spending to community needs. "Bringing a race, class, and gender perspective to issues of war and peace." That’s our new tag line, and it describes what we plan to do. In these difficult economic times, we will be paying special attention to the connections between wars abroad and unemployment, crumbling infrastructure, struggling public education systems, and bankrupt towns, cities and states here at home. We're concerned, too, about a rise in anti-Muslim rhetoric and violence. We are worried about a manipulating right-wing that encourages some folks in this country to make immigrants and people of color scapegoats for the government's failure to deal with their very real and painful economic problems. I've been working with WT/TdG since its beginnings and will be writing there as well as here. Empire -- its dysfunctions, its distortions, its murderous inhumanity -- is a big topic; every little bit helps. 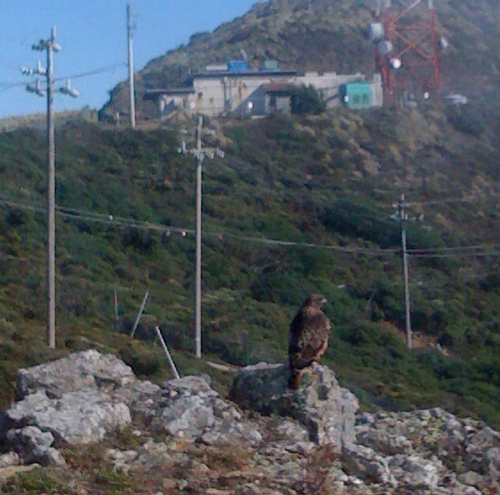 As I lumbered toward the crest of the San Bruno ridge, there was something sitting on a rock. 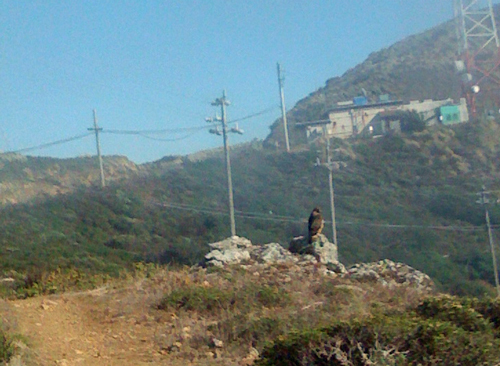 The young hawk showed no interest in a very slow jogger and sat serenely until I was within 15 feet, then flew off on a thermal, perhaps looking for an unwary rabbit for dinner. Well, actually, I hate to say this to you because I don't want to get your ego going. But I think you're right. I think, look, political correctness can lead to some kind of paralysis where you don't address reality. I would describe that exchange as an announcement that Williams harbors a common, but irrational, prejudice -- and that he wants to reassure O'Reilly (and himself) that such prejudices are okay. If that's what he meant, and he hasn't denied it, I think NPR's firing of Williams is a good move. It sends the message that news outlets, aside from propaganda networks, won't participate in coddling irrational fears about whoever the current out-group may be. The question of how much leeway from rationality and sheer decency people should be allowed because they are frightened is recurrent and important. Feeling fear is a terrible thing -- there was a reason that President Franklin D. Roosevelt named "freedom from fear" as one of the four essential elements of a secure world. (The world is not doing too well on any of these measures; it might be time to look back at that yard stick.) And all of us want to be able to cite our fears as excuses when we do things we aren't proud of. That seems to be human nature. Years ago, my partner and I were drafted into facilitating a workshop at a lesbian conference during which white women to were supposed to talk about their racism. The story of how we were pushed into this unwelcome role is long and funny and I'm not telling it here. Suffice to say, most unwillingly, we were supposed to sit down with twenty white lesbians and have a meaningful exchange about how we were racists. This seemed exceedingly unpromising to us as a format that would do anyone any good, but we forged ahead. We developed an exercise that would ask folks to try to talk, concretely, about any experience they had had in their work lives that revealed how racism still had a role in determining what opportunities different people enjoyed. In the mid-1980s, this should not have been too difficult; it wouldn't be too difficult today. And since these weren't industrialists or even business owners, they could observe without feeling utterly defensive -- or so we hoped. But the participants simply wouldn't talk about the line of thought we laid out. They'd hem and haw -- and come back around to the only topic that they really wanted to discuss: the fact that when they walked down a dark street and saw a dark-skinned man coming toward them, they were scared. And they felt guilty about that, but also felt justified in retaining the prejudice. Men were dangerous and scary and dark-skinned men that much more so. We tried to get folks to unpack this. What if the man were white -- would he be a threat? What if the dark-skinned guy wore a suit and tie -- did that change how they felt? Why he might even be a white guy with suit and tie (my idea of the really scary ones). They weren't much into this exercise either; there was a lot of attachment to their personal, imagined, bogeymen. I wonder, if such a gathering took place now (sure hope not! ), would the same demons dominate -- or do many of us, especially younger ones, perhaps live in a much more racially diverse environment? In an environment that seems safer to non-conforming women? Or would the scary stranger on the street be wearing "Muslim garb"? Prejudices are not something to exercise, to take for a walk metaphorically. They are lazy habits to exorcise. The adult response to prejudice is to subject our fears to common sense and investigation, take sensible but not excessive precautions, and carry on. People and countries that can't manage this make themselves miserable and find themselves in hopeless, meaningless wars. These days, we're living in Exhibit A. Good for NPR for repudiating one example of embracing irrational fears. H/t to Adam Serwer for reminding me of this line of thought. Sure we all need a raise, but even in this miserable economy, most of us can remember getting one. Not so, for these essential workers in Florida. Florida tomato pickers earn 45 cents for every 32-pound bucket of tomatoes they pick, and their wages haven't increased in 30 years. These farm workers only want one more cent for each pound they pick, but they can't get it without pressure from the big buyers in the tomato world. They are asking people to push the supermarkets -- Trader Joe's, Kroger, Publix, Giant, and Stop & Shop -- to let all the layers of labor contractors and subcontractors know that tomato workers need a raise. Consumers can add their voices at this website. Once upon a time, a long time ago now, a Democratic President responded to economic distress by pushing through the National Labor Relations Act. The NLRA legalized the efforts of workers to organize themselves in unions to level the playing field when dealing with powerful employers. But progressives of that era (1935), understood that they had to sacrifice the perfect to achieve the good. So they went along with leaving very poor, often foreign-born, usually Black and brown, farm workers and domestic workers, out of the new legal framework. They created a class of "excluded workers" who are largely unprotected from employer abuses. Such workers have only such protections as the states provide -- EVEN NOW. The opportunities to organize guaranteed by the NRLA to other workers are almost completely eroded today (Republicans keep chipping away ...) and excluded workers still have to appeal to consumers to win a just small improvements. We can help. Click the link. Okay -- I voted. It wasn't fun. But I figured out what I thought of the state propositions, all NINE of them. This isn't any way to run a government ... But here goes, if anyone is interested. Prop. 20: transfer power to draw Congressional districts to a "non-partisan" citizen redistricting commission we created by a 2008 initiative. NO. This is a phony "good government" gimmick that sounds democratic (small "d") but actually makes an ugly reality worse. Redistricting is the unsavory process by which electoral districts are redrawn every 10 years to ensure rough numerical equality. It is also how, instead of voters choosing their politicians, politicians choose their voters. Incumbents can protect themselves from challenge by getting lots of sympathetic voters within the boundaries of their district. (This is called gerrymandering after a Boston politician named Elbridge Gerry who excelled at the practice in the early 1800s. I think he was a distant relative.) The commission would just insulate the politicians by hiding the gerrymandering away amid phony "non-partisan" trappings. Let's keep the redistricting process as honest as we can by keeping it in the light of day where at least we can see which pols did what! Prop. 21: create a stable revenue stream to fund state parks by adding $18 to the vehicle license fee. YES, INDEED! I hate this kind of proposition. The legislature should be able to handle this kind of thing. The whole body of state voters should not be creating separate revenue streams for our pet projects. But we've broken the ability of the state to tax, so we are stuck with these measures. This one would keep noxious Governors (yes - you Arnold) from snatching park funding when the coffers were low elsewhere and preserve our collective property in beautiful places. Plus drivers with California license plates would get into parks free because they'd already paid as part of the vehicle license fee. Taxes are the price we pay for civilization and this is a worthwhile price. Yes. Prop. 22: prevent the state from diverting local redevelopment funds. NO. Sounds okay, but this is just exactly the sort of thing that makes the legislature unable to do its job. We can't hold them accountable if we hamstring them. Plus technical measures like this are prone to setting off cascades of unexpected consequences -- we have enough of those in our dysfunctional state government already. Prop. 23: oil companies want to overturn California's greenhouse gas emissions controls. NO. This one is a total shuck. It would prevent the government from trying to avert climate change until unemployment reached 5 percent -- otherwise known as probably "never." Proponents are Texas oil barons who couldn't win in Sacramento, so they are trying to con the voters with an initiative. Prop. 24: repeals some business tax loopholes. YES. See Prop. 25 for why we have to vote on this. These giveaways to businesses were the price Republicans made the Democratic legislative majority pay in order to give enough votes to get a budget over the two-thirds requirement. This is blackmail and we can reverse it. Prop. 25: allows the legislature to pass a budget with a simple majority vote. YES! We'd have a lot less BS on these ballots if we didn't have this crazy system in which majorities cannot do their job because passing a state budget requires a supermajority. Let's let our representatives do their work! Prop. 26: requires a two-thirds vote to raise various state and local user fees. NO! This is the sort of crap that has given California a dysfunctional state government. We have to pay for the infrastructure and services that make the state work (insofar as it does.) But when we start demanding that two-thirds of us agree to get anything done, we are giving a smallish minority the right to veto all of government and impose the lousy quality of life they prefer on the rest of us. Fifty percent plus one is plenty to ask in any election -- and minor fees should not be something that people have to vote on every time they turn around. Adding all this clutter makes a mockery of democracy. Prop. 27: eliminate the redistricting commission created by initiative in 2008; throw redistricting back to the legislature. YES. As I said in reference to Prop. 20, you are never going to make this inherently political process into something apolitical or non-partisan. The best you can do it push it out into the open and make sure you know who is doing it. The Legislature already exists to be that body. They should do their job -- no gimmicks! The State of California presents nine of these things -- so naturally San Francisco needs FIFTEEN! Asking the voters to opine on that many items isn't democracy; it's evidence of dysfunction. I plowed through them and voted today. Here's a run down of what I was thinking. Prop. AA: $10 per car add-on to the Vehicle License Fee to be spend on transit and infrastructure. YES. If we want a livable city, we have to pay for one. Prop. A: bond to pay for earthquake upgrades in buildings that are affordable housing. YES, reluctantly. If we want owners to rent out, rather than just speculate on, substandard buildings, apparently we have to "help" them. These will be loans. Prop. B: an attempt to help city finances by take-backs from city employee pensions and health care. NO. You don't get a city that works by bashing the people who work for the city. This is regressive and would hurt the lowest paid workers the most. More here. Prop. 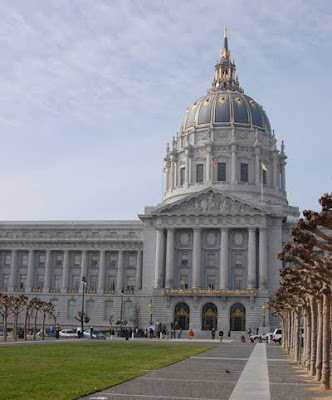 C: make the mayor meet with the Board of Supervisors. YES. We voted for this in 2006. The Mayor ignored our vote. We tried again; Newsom managed to fight off that measure with a well funded campaign. The whole issue is stupid. Of course the city's executive officer should meet publicly with the legislative branch. Refusal is simply childish. Prop. D: let non-citizens with children in the schools vote in School Board elections. YES.This only seems fair and sensible. More here. Prop. E: Election day voter registration in municipal races. YES. Our voter registration procedures were developed in the days when we used manual typewriters and carbon paper. Voter registration should be automatic along with moving into a residence. Failing that, it should be easy and available at the polling places. States that allow this, like Minnesota, have the highest participation rates in the country. That's what we should be aiming for. Prop. F: Health Service Board elections. ?? I give up. I didn't know there was such a board and I certainly don't want to be voting on it. Prop. G: Bus driver wages and benefits. NO. The transit workers union was uncooperative in negotiations with the financially strapped city during budget discussions this year and this is pay back for not helping out as the other city unions have. The ballot box is no way to negotiate worker contracts. I shouldn't be asked to vote on this. Prop. H: whether elected city officials can serve on political party committees. NO. This is another piece of junk we're voting on because a politician, in this case Mayor Newsom, got his nose out of joint. The current elected Democratic County Central Committee shows no deference to his desires, so we have to vote on this. It's idiotic. Prop. I: a privately funded test of Saturday early voting in 2011. YES. I'm almost always for anything that makes voting easier and certainly opening polls on a weekend day might do that. We've tried this before. In the fall of 1994, polling places were opened on Saturdays in a few locations to offer early voting. A polling place in the basement of City Hall opens during every election as soon as the mail ballots go out. These measures are all good, though this particular proposal seems a little incoherent. Prop. J: raise the hotel tax paid by visitors by about $3 a night and enable collection from internet reservations. YES. Despite what hotel owners say, nobody is going to forgo visiting San Francisco because they are being charged an extra $3 a night (Heck, they are probably being charged an arm and a leg already.) The city needs the money. Prop. K: this is a poison pill to undercut Prop. J. NO. If this one gets more votes, the hotel tax would not be raised, though the city might capture more tax from people booking on the internet. The hotel owners really don't want the hotel tax raised, so they are paying to run this measure. I wonder if some political consultant is cleaning up on selling this one to the Convention Bureau? Prop. L: busting people for sitting on sidewalks. NO. This is one of the city's periodic swipes at homeless people for trying to survive in our midst. More here and here. Prop. M: require police foot patrols. YES. Perhaps a better response in neighborhoods that are freaking out about homeless people, but the Police Department isn't likely to implement this -- takes too much personnel and time. Prop. N: real estate transfer tax applicable only to properties selling for over $5 million. YES. Damn right we should vote for this. Location in San Francisco is what makes any such parcel that valuable and its owners can contribute to the general welfare! We'll just make it legal! Mark Fiore responds in this video to the news that the government wants to make it easier to spy on all of us, all the time. "How do we know who to watch, unless we watch all of you?" Sometimes all you can do is laugh. I found the Mark Fiore video via Emptywheel. Does Election Day have a future? Later this week I'm going to make myself dig through the four pages (!) 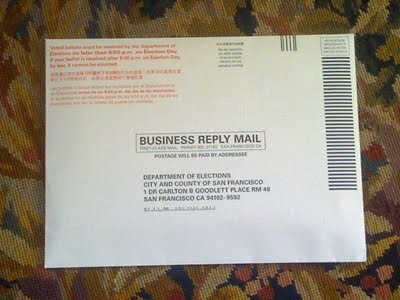 of my California state and San Francisco City and County official vote-by-mail ballot. When I get the morass of local measures and state propositions figured out, I'll post my thinking here. I'm what used to be called a "permanent absentee voter." I didn't get myself into that group because I like early voting -- it's just that for years I've had more important work than going to the polls to do on Election Day. But I've never been particularly comfortable with early voting as a cure-all for what ails our elections. By extending the voting window, it makes campaigns longer and more expensive because the hard-hitting media and get-out-the-vote work needs to be constant from whenever in October the ballots become available. That's not cheap. Moreover, there has been little evidence that early voting does much for enlarging the electorate; a good deal of research suggests that early voting options are easily adopted (and appreciated) by people who already have the voting habit. The convenience option hasn't easily attracted people for whom voting is a new experience: young people, new citizens, and people who have felt pushed to the margins of "the system." Much more here and here. In 2008, I watched the Obama campaign make early voting something of a social experience and applauded. The social character of Election Day, the sense of taking part in something communal that is emblematic of the national life, is diminished when casting a ballot is an individual act done in private and completed with a walk to any corner mail box. The Obama people were trying to generate a collective excitement about early voting. ... because we were so dependent on first-time and sporadic voters, we mustered an intense effort toward executing early vote. 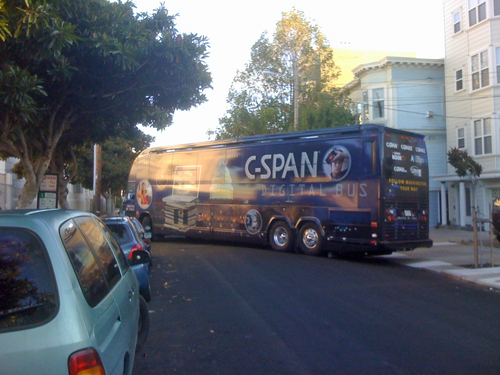 This effort consisted of radio ads reminding people of early vote and explaining how it worked; a fusillade of internet ads to push the concept; repeated e-mail and text messaging to people on our list from these states; and a blizzard of door-knocks and phone calls to remind voters person-to-person about early vote. We also tried to make sure all our volunteers voted early so that they would be freed up to help on Election Day. For all they put into it, they were surprised by a resistance they encountered, one previous research and experience would have suggested. As we began moving deeper into early vote, one number caused alarm. Carson came into my office one afternoon. "I've been poring over the early vote data," he said, "and we seem to have a problem. Or what could be a problem, I should say. We're meeting or exceeding our early-vote goals in most demographics across most states. But younger voters-under twenty-five-are off quite a bit." ... [He] ... suggested doing some research among this group to try to find out why they were not voting early in great numbers. Did we have a motivation problem, an execution problem, or both? I green-lighted the research, which yielded two very illuminating findings. First, many young voters were so excited by this election that they couldn't envision doing anything besides voting for Barack Obama in person at the polling location. When we raised with them the possibility of long lines, or the potential to free themselves up to volunteer, they simply wouldn't budge. This was a big moment for them and they felt it would seem bigger if they voted at the polls. In any case, they were still dead-set on participating, which relieved us. My emphasis. Those two points of resistance were exactly what I would have expected -- because they are where voting as a social experience is diluted by the long early voting period. I would not be surprised if they had found the same pattern among new citizens and in some communities of color, though Plouffe isn't telling. One of the reasons states and municipalities are going to mail ballots and extended voting periods is that the technology to run elections is advancing rapidly. 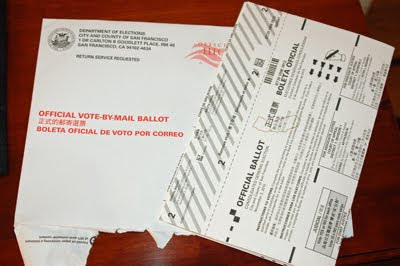 Perhaps someday universal secure online voting will eliminate polling places altogether -- it might also shorten some of the long voting periods now required for mail-in balloting. This could also get rid of the anachronistic idea of holding elections on a Tuesday; maybe the ultimate voting day could be a Saturday or even a holiday. The full implications of technical changes in voting are hard to foresee. I fear they might lead to much more abstention from participation as the sense of a living, shared civic ritual receded. We need to think hard about how to recreate a sense of communal excitement about electoral participation if we aren't going to have such visible, collective Election Days in the future. Very few campaigns are going to have the kind of money Obama had in 2008 to do this, working in place of election authorities, though within their rules. Staging attractive civic rituals has to be a government function in a living democracy. There's a thought to drive the Teabaggers mad. Hope the San Francisco Board of Supervisors understands what kind of company is asking them to approve a new midtown hospital while it decimates St. Lukes Hospital in the underserved south of the city. Kaiser Health News looked into which California hospitals had the highest and most rapidly rising costs. Looks like Sutter Health, doing business as California Pacific Medical Center in San Francisco, wins this dubious prize. Hospital rates in the Bay Area now are among California’s most expensive, propelled upward by prominent hospitals and networks, including Sutter Health, Stanford Hospital & Clinics and John Muir Health, according to private and government data. 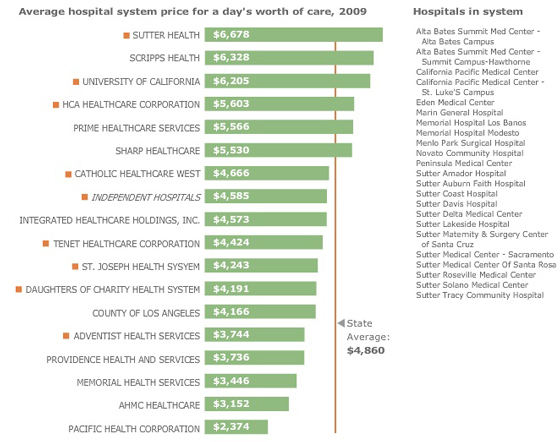 ... Sutter Health is California’s priciest large hospital system. An average day’s worth of care cost 37 percent more than the state average, even more than the University of California hospitals, which see more of the sickest patients. Catholic Healthcare West, another nonprofit chain that is one of Sutter’s main competitors in many Northern California markets, was paid 4 percent below the state average. Now why would city officials allow this health profiteer to wrap its tentacles ever more tightly around San Franciscans' necks? At the very least, they should bargain to force the Sutter monster to keep St. Lukes open as a charity hospital. Charging $2700 more than the state average for a day's care, Sutter is making plenty enough profits already. Last week, I posted about San Francisco's Prop. L, our city's latest opportunity to use the ballot to announce vigorously that we don't like people who live among us who don't have homes. Though I sorted through a lot of archives for that post, I had a gnawing sense that I'd forgotten a few twists and turns in the story. A reader emailed to correct me on events in 1994 and that prompted me to delve a little further into the history. My correspondent was right: in 1994, we did vote down the sidewalk sitting restrictions that were embedded in unpopular Mayor Frank Jordan's broader Matrix program for dealing with homeless people. Score one for voter compassion and sanity. However in July of that year, the San Francisco Police Department issued General Order 6.11, instructions to cops on how to deal with people sitting on sidewalks. This order recognized that sections of previous sidewalk sitting laws had been found by courts to be too broad and to allow too much officer discretion, but reinforced that police can act against any person actually blocking others on a sidewalk. This 1994 interpretive framework is still the current law. Looking into this again tickled a vague memory that San Francisco voters had voted down one of these recurrent measures to attack people who lack a regular street address sometime early in the last decade. I should remember this one: I volunteered help to folks at the Coalition on Homelessness to organize literature distribution against it. That 2000 ballot measure, Prop. E, was an exercise in civic paternalism. We were voting to treat very poor people as dependent children, taking back the small cash grants they had been receiving and making sure any cash they got was spent as politicians and social workers thought proper. These days, when very poor people are routinely treated as having no rights, it's amazing to think that the city once endorsed the idea that people should be able to use the pittance we spend on them according to their own notion of how to survive. But that had been the case and in 2000, momentarily, we asserted it should be. Rabbi Alan Lew of an interfaith coalition against Proposition E saw the initiative in almost-apocalyptic terms. "Our greed has reached such an appalling level that we want to take money away from the poor,'' he said recently. Though there were the usual moral arguments in that campaign, I believe Prop. E's rejection should be attributed to another factor. Prop. E served as the San Francisco liberal establishment's opportunity to give itself a sort of "ethical shower" -- to restore its own good opinion of itself after a season of besmirching its self-esteem. The city had just passed through a vicious mayoral campaign that culminated in December 1999 with the re-election of Willie Brown. Although he enjoyed wide, passionate support, challenger Tom Ammiano (now an accomplished state legislator, but then a far less seasoned Supervisor known to many only as the "gay comic") probably never could have mustered a majority from city voters. But crafty and corrupt old pol Willie Brown demanded that every liberal political figure and organized force in the city must join in grinding the upstart into the ground. Liberal politicians, most of labor, and many community organizations pledged allegiance to the mayor and spent vast sums and their staff time on Brown's campaign. A lot of this was of questionable legality, but King Willie wanted a coronation, a triumphal parade, and he pretty much got one. The more decent of the people and institutions that were feeling queasy after serving as Brown's shield bearers wanted self-absolution. Led by then-State Senator John Burton, they used the campaign against Prop. E to restore their faith in their own intrinsic liberal goodness. With pretty much all the institutions that signal to voters that good people were speaking in a unified way against Prop. E, it was possible to turn back an attack on homeless people -- for a moment. When attention turned away, bit by bit, the thrust of Prop. 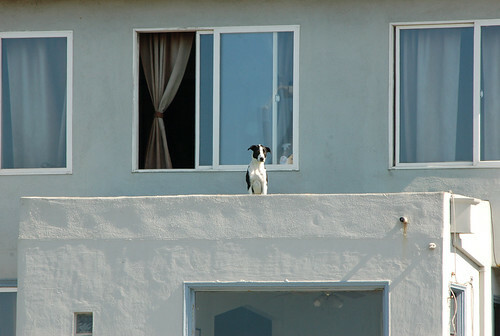 E later became Mayor Newsom's current policy for the poor. The story of that Prop. E campaign has scary implications for this election season. We're not seeing that kind of establishment unity against the racist, selfish, and simply dopey politics of the Teabaggers. We're seeing a lot of Democrats scurrying around trying to distance themselves from directions they once embraced. Defense of a decent society doesn't work that way. When "leaders" won't lead, we get frightening results. Meanwhile, according to New York Times columnist Nicholas Kristoff, we're currently also funding the guys shooting at us. Ms. Stoda despises the Taliban and shudders as she remembers her terror as a seventh grader when the Taliban stormed her secret school for girls. She said Taliban thugs beat the girls and murdered the teacher, who was Ms. Stoda’s aunt. Yet Ms. Stoda, like all contractors, has to pay off the Taliban directly or indirectly to work in insecure areas. She estimates that for every $1,000 her company is paid for work in such places, some $600 often ends up in the hands of the Taliban. “Sometimes, it’s even more,” she added. Last year, she had a $200,000 contract to transport laptop computers to the American military in Kandahar. The Taliban seized the shipment, and she says she had to pay $150,000 to get it released. It’s the same with all contractors, and the upshot is that the American taxpayer has become a significant source of financing for the Taliban, along with drugs and donations from Gulf Arabs. With the money they milk from the United States, the Taliban hire more fighters. The Iraq war may seem tired old news to people in the United States -- though I am sure it doesn't to Iraqis still living in (or outside) the wreckage. And the shadow of that unjustified and unjustifiable war of choice still hangs over us in this election season: just this week, Atlantic political correspondent Marc Ambinder thought the way to pigeonhole Florida Democratic Congressman Alan Grayson's place in our political spectrum was to recall his car sported a "Bush Lied; People Died" bumper sticker. So it is not a negligible thing that Thomas Ricks, Washington Post military correspondent from 2000-2008 and a current foreign policy blogger, highlights the following snippets from former Joint Chiefs Chairman Gen. Hugh Shelton's memoir. These are pretty serious charges, given that they come from the man who was the nation's top military officer for four years immediately preceding 9/11. Bush lied, people died, indeed. What's she following so intently (besides the lady with the camera)? Just the Pacific Ocean. Here's a video for Blog Action Day: the subject is WATER! I had the privilege to travel with this organization a few years ago. Story in pictures. Here's what they say about this film. This is the story of a work brigade during a ten-day El Porvenir project outside of El Sauce in rural Nicaragua. El Porvenir is a non-profit organization dedicated to creating sustainable self-help water, sanitation and reforestation projects. The film starts with an image that signifies the reason why these work brigades are necessary a woman washing her clothes in a local stream, which is used for drinking water by both cattle and humans - water that is becoming polluted with phosphates and animal feces. At first the brigade is unsure of their carpentry skills and the language barrier, but working side by side with the community, they build a community wash station one brick at a time. Voice-over throughout the film describes one brigadistas experiences, and highlights the plight of the Nicaraguan people. Although this is a personal story, the film also incorporates video taken by one of the local El Porvenir employees, a reforestation expert. This one is Prop. 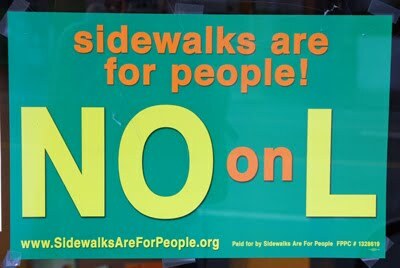 L -- called "Civil Sidewalks" by its supporters. It makes it illegal to sit or lie on a city sidewalk, unless you fall in one of a long list of exceptions that creates a situation that will allow police pretty much complete discretion about whether or not to enforce the prohibition. If police tell you to stand up, you have to -- and then they can't arrest you, so the law is just a harassment tool anyway. Mostly police aren't going to enforce this -- unless a more affluent citizen decides some the offender is an annoying homeless person and complains. We vote on variations of this "outlaw the homeless" theme over and over. In November 1992, we passed a law aiming to outlaw "aggressive panhandling" -- though courts said people retained a free speech right to beg. 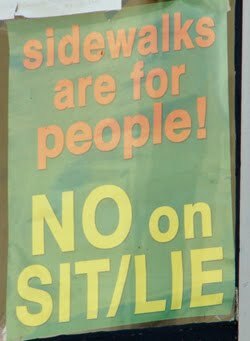 In November 1994, we passed something that aimed to prohibit people from sitting or lying on sidewalks in commercial districts. The ballot title called it "Sidewalk Prohibitions." See correction here. "What bothers me is that politicians and political consultants are going after the poor for political gain," Burton said. "I just find it offensive. Last I checked, it's not a crime to be poor." "Homeless woes can be solved." In 2006, a downtown mall opened. Police say they've been told to roust homeless. In 2009, the National Law Center on Homelessness and Poverty spoke up. 'Sit/lie' law needed to stop bullies on Haight. That last became Prop. L -- and we get to vote on it this year. Hey, didn't we pass this one in 1994? Yes. (Not exactly. See correction.) And that tells you most of what you need to know about San Francisco's panoply of anti-homeless legislation. Homeless people need housing and usually a lot of physical and mental health care. If they weren't nuts before they landed on the streets, they almost certainly are after a few seasons of dealing with the weather, each other -- and us! We can't legislate this population out of existence. ... I can’t help but wonder about the real reasons many of my friends and neighbors are pushing for it. I know many of these people and they are normal and reasonable folks, they have good educations and careers, and they can critically think through issues. I don’t have to look far for the answer since I nearly went along with this law myself. I had to force myself to sit back and analyze my thoughts. I had to admit to myself that the way certain people look can make us afraid. We don’t like to be confronted by a human condition that appears so alien and dirty. Such confrontations bring out strong negative feelings in us – feelings of fear, disgust, and disbelief. Overcome by fear, our minds blow any real problems out of proportion and we end up championing disproportional solutions like the proposed sit/ lie law. We want these people gone, these uncomfortable appearances to disappear so we can surround ourselves with a world of our choice. We want these people gone -- but we don't get a world of our choice and neither do the homeless people. No on Prop. L -- for the umpteenth time. 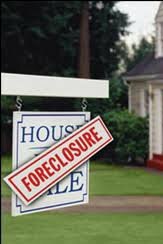 Smart financial writers are sure giving the impression that the fraudulent dealings of the big banks that enabled them to make mega-profits from the housing bubble are unraveling right now. The real economy, the activity involving money that most of us work in, is about to take some new hits. This might be as drastic a blow as the financial collapse in September 2008 if they are right. ...What this discussion reveals are a series of short cuts, (il)legal fictions, and an utter disrespect for the mechanisms of legal property transfer that underlies our entire system of Capitalism. There's probably never been a better time to be an experienced securities litigator. If this situation is as bad as financial journalists are saying, there is very little most of us can do to protect ourselves from the fallout. The banks will act catatonic because, once again, they'll be effectively bankrupt unless Uncle Sam bails them out. An aroused people will go ballistic if bailout is attempted -- and suffer however the crisis plays out. With vast uncertainty about property ownership and lawyers coming out of the woodwork, businesses aren't going to make the bets on the future that would get employment going again. Hunkering down by the business class means misery for people who need economic expansion and good jobs. The Service Employees International Union (SEIU) and a bevy of community organizations have launched one useful defensive initiative. At the website Where's the Note? they've created an online tool that anyone who owes on a mortgage can use to demand of the bank that you pay the loan to that it show it has the "note" to the property. That's the paper you signed when you closed on your house. One of the horrors of the current situation is that, too often, banks that lent in the last decade can't produce the note. There are a lot of people writing about all this, some of them even in a prose that approximates everyday English. Some who have helped me to understand a little, in addition to the two cited above, include Gretchen Morgenson -- a financial journalist at the New York Times, Felix Salmon who finance blogs for Reuters, Emptywheel at FireDogLake and Mike Konzai at Rortybomb. Not so mixed together as we like to think?